The biggest factor in your financial success isn’t the size of your salary. It’s you. More specifically, it’s the emotions that drive you to handle money the way that you do–whether you squirrel away every penny, spend like crazy, obsess over every purchase, or simply stick your head in the sand. Understanding what drives your behaviour when it comes to money–what money means to you, what it signifies about you, how it makes you feel when you spend or save it–is key to your well-being, financial and otherwise. If you’re completely driven by the idea that money equals security, for example, you may feel perpetually hopeless or panic-stricken that you don’t have enough saved up. And couples who have opposite money habits are bound to find themselves locked in endless conflict–unless they can unchain themselves from the fear or need that’s driving their behaviour. So what makes one person a miser and another a spendthrift? Most of us are actually a combination of types with one prevailing trait (for example, you might be a diligent saver by nature but still have it in you to splurge now and then). And that plurality makes sense, considering our money personalities are shaped by a host of factors, starting way back in childhood. 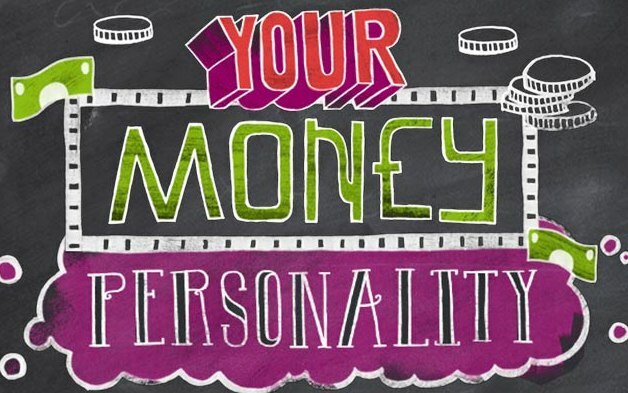 Check out the six money personalities here to find the style that best reflects your own traits. Whereas others see money as a means to buy nice things, hoarders see it as a means to obtain security. Indeed, no matter how much a hoarder has, he/she always harbours an irrational fear that one false move or unexpected disaster will leave her destitute. The hoarder’s strength lies in easily living within their means, sticking to a budget and a master bargain Hunter. However their weakness is focusing on a secure tomorrow and then often fail to enjoy today. They are conservative with savings. To improve your financial future, allow yourself a small luxury or move a small portion of your savings into stocks rather than keeping it all in a low-risk, low-return bank account. Start with a balanced or equity income mutual fund. These contain a mix of stocks and bonds, so they’re less volatile than an all-stock fund. Seeing that such “risky” behaviour doesn’t necessarily lead to disaster will help you become more comfortable with exploring other investment options that can grow your nest egg and allow you to enjoy your hard-earned cash. Buying stuff is a balm that helps spenders feel important, loved, and validated. That need for love or approval often comes from having parents who were emotionally withholding, or from enduring a childhood deprivation. Spenders’ inner voices tell them, “I deserve this; I won’t be denied anymore.” The biggest spenders are status seekers who equate extravagant possessions with self-worth. Whether or not they can afford it, that luxury car makes them feel respected. Nevertheless, their strength is they know how to live in the moment and enjoy life and often the first to pick up the bar tab or get for a gift that makes a friend or mate feel special. Their weakness then is that they tend to overindulge and exceed their means, they loath to save, which could spell disaster in retirement or in a financial emergency. Hoarders view money as a means towards obtaining security. For them, one false move or unexpected disaster will bring poverty! They focus on a secure tomorrow and often fail to enjoy today. Spenders feel important, loved, and validated when they buy stuff. Biggest spenders are status seekers who equate extravagant possessions with self-worth. They hate to save. Bingers long for security, so they put money away. Binging is just another form of overspending. When the spending mood strikes, they don’t just dip into their wallet – they empty it. The worried are distraught over every money move they make – no matter how much money they have. Money concerns consume them. Taking so long to make financial decisions, they miss out on opportunities. Money monks were raised with deep religious or political convictions that money is the root of all evil. They often short-change themselves and put their financial security at risk. They avoid planning for the future. To money masters, cash is simply a practical tool for living. They upgrade their lifestyle as their income grows. They are reluctant to turn to others when they need financial advice. A binger is really two types–hoarder and spender–in one. Bingers long for security, so they put money away, but then the itch to indulge sabotages their efforts. For example, after being so good at saving, they all of a sudden go spend it or just blow it on vacation. Bingeing is just another form of overspending, and like spenders, bingers are driven to splurge by the need to feel approved of, a need that comes in powerful waves. They usually keep their spending under control, but in a weak moment they make an extravagant purchase that refills the emotional tank–and empties the bank account. Their strength is being on the right track toward a good, balanced financial style, they have the instincts of a saver; and keep an eye on their money. Their weakness however is when the spending mood strikes, they don’t just dip into their wallet, and they empty it. There, “I’ve been good about saving so i deserve to splurge every now and then” mentality feeds their bingeing cycle. The best plan for a binger is to institute spending limits without depriving yourself completely. Instead of going on a N100,000 shopping spree, reward yourself with something special that doesn’t cost a lot. When you do shop, set a spending limit, and take only that much cash with you (yes, cash!). Another tactic: Distract yourself from spending. Everyone worries about their finances at one time or another, but worriers are distraught over every money move they make–no matter how much money they have. This obsessive concern can stem from a lack of confidence in handling money, from being a perfectionist, or from parents who were frugal to an extreme. Their strength then is their finances won’t suffer from neglect, to stay off money trouble, they are more likely to use a financial adviser, who can help him/her to better manage the money. Their weakness is that money concerns consume them, take so long to make financial decisions that they miss opportunities. A few steps to help you feel safer about your financial present and future. Each day, write down your worries and the worst that could happen if they come true. Seeing your fears on paper will help you feel more in control. Ask friends to recommend a financial planner who can confirm that you’re making smart money moves–or point you in the right direction. And once your budget is set, review your finances no more than once a month. Handling money in any way makes a money monk feel like she’s giving in to its seductive power. Often, money monks were raised with deep religious or political convictions–their parents taught them that money is the root of all evil. Their strength is always focusing on “the more important things in life” and have deep values and are capable of great generosity. Their weakness is they often short-change themselves putting their financial security at risk. Also, their aversion to money causes them to neglect routine money chores and avoid planning for the future. Remind yourself that money isn’t all bad–it allows you to keep a roof over your head, help friends, and support charitable causes. Think of Bill Gates and Warren Buffett, who have donated billions of dollars to global-health and education initiatives that will literally change the world. To make dealing with money easier, put your finances on autopilot as much as possible: Have pay checks deposited directly into your bank account, and set up automatic deductions for monthly bills, savings, and investments. “You set aside a percentage of each pay check for savings. You thoroughly research your investment options, but don’t lose sleep over whether you picked “the best” mutual fund. To money masters, cash is simply a practical tool for living. Chances are, their parents were also money masters. Or they became masters after curbing overspending habits or easing up on hoarder tendencies. With strength in saving and investing for long-term goals, have a treat without overspending, upgrade their lifestyle as their income grows. However, their weakness is that they may feel justified in giving their friends unsolicited financial advice, which can strain relationships. They are also reluctant to turn to others when they do need financial advice– as they feel they are supposed to know it all! Although it’s noble to want to “rescue” your spendthrift friends, remember that you’re already leading by example. Let them come to you for advice. And even though you take pride in finding your own investments, it doesn’t hurt to consult a pro when you’re about to make major financial decisions.